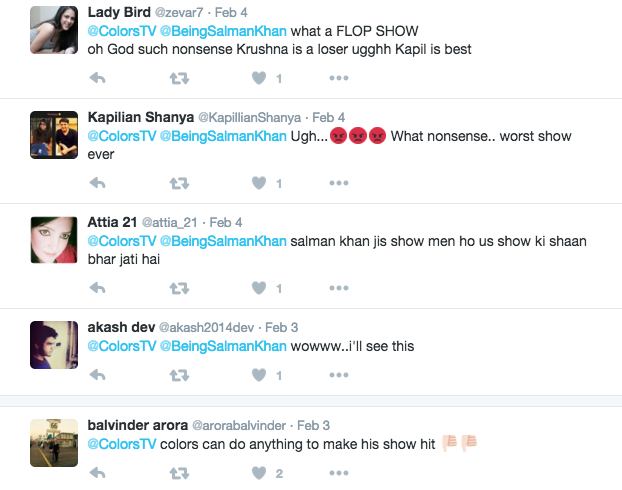 Home TV Twitterati Lashes Out On Seeing Salman Khan On Comedy Nights Live! 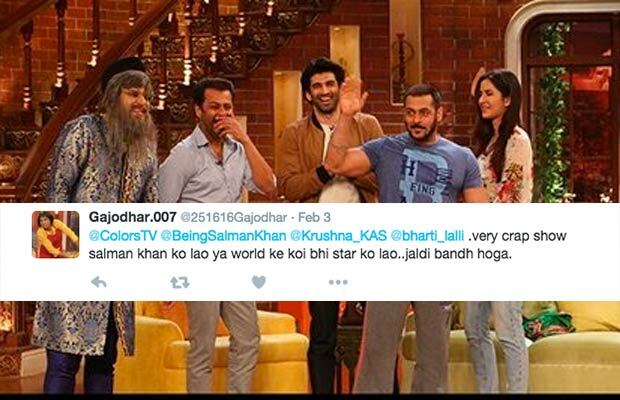 Twitterati Lashes Out On Seeing Salman Khan On Comedy Nights Live! [tps_footer]The entire country knows nobody can replace the most successful and popular comedian Kapil Sharma and his show ‘Comedy Nights With Kapil’. After criticizing the new show ‘Comedy Nights Live’ which is actually a repackage of Comedy Nights With Kapil, fans and viewers have expressed their anger on the recent video of the show. In order to get the high TRP ratings for the show, the makers of ‘Comedy Nights Live’ shared a video where Salman Khan is seen making a sudden appearance on the show during Katrina Kaif and Aditya Roy Kapur’s Fitoor promotions. Viewers and fans who have enjoyed watching Kapil Sharma and his show for a very long time on the television, were upset and disappointed to see how the new show is trying to overtake Kapil’s space. Well, nobody can be loyal and better than audience to judge the reality. Soon after the video was uploaded on twitter, twitteratis slammed the channel as well as show for using Kapil Sharma’s style to raise the TRP. 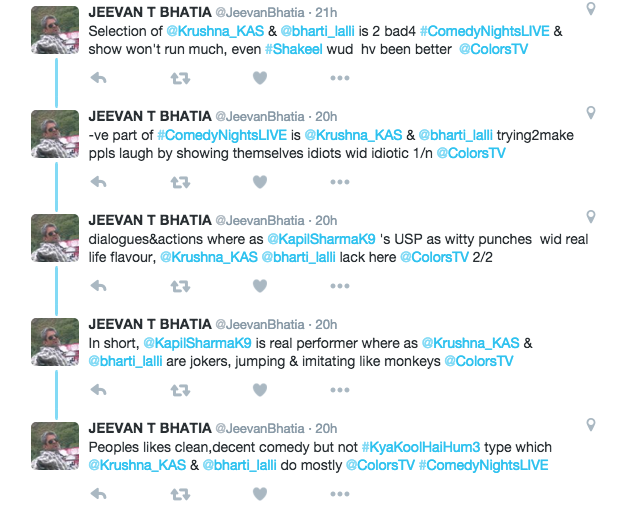 They also blamed and raised the question on why Salman is promoting Comedy Nights Live. Take a look at the comments below! In the first episode itself, Comedy Nights Live failed to entertain viewers and this surely made everyone miss Kapil Sharma on the television with his team. From Palak and Gutthi’s comedy bonding, to Siddhuji’s one liner punch lines, we missed every bit of ‘Comedy Nights With Kapil’. Well, nevertheless, Kapil Sharma is all set to introduce his new show soon. The always happy and talented comedian turned actor Kapil has currently geared up with Sunil Grover aka Gutthi for the new show, which will reportedly be telecast on Sony TV channel. Next articleVidya Balan Ready To Give Another Hot Hit?